DKE Toys » Blog Archive » The Fwoosh finds DKE Toys and is stoked! The Fwoosh finds DKE Toys and is stoked! Thanks to Cannonball for this awesome write up on the DKE Toys booth at NYCC! 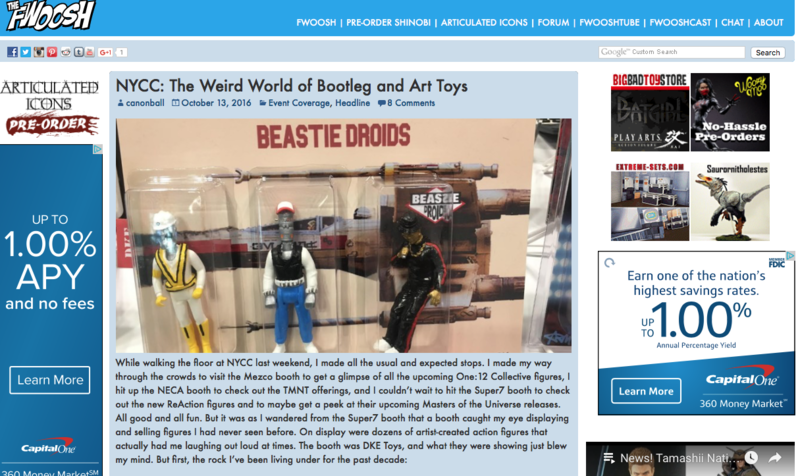 Tons of pics and a really thoughtful blogpost about what is happening in The Weird World of Bootleg Art and Toys!